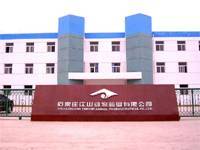 Product categories of Veterinary Disinfectant, we are specialized manufacturers from China, Veterinary Disinfectant, Povidone Iodine Solution suppliers/factory, wholesale high-quality products of Disinfectant For Veterinary Use R & D and manufacturing, we have the perfect after-sales service and technical support. Look forward to your cooperation! Veterinary Disinfectant is used for sterilization of poultry houses, corral and utensils. The pathogen of avian influenza virus, Newcastle disease virus, escherichia coli, mycoplasma and other pathogens have a rapid killing effect.